•	Design of Capital Circle Office Complex (Tallahassee, FL) including roadways, stormwater management facilities, and infrastructure. •	Co-Author of the EPA guidelines for Reclaimed Water. •	Design of the Manatee County Water Treatment plant. •	Manager of over 14 large FSU Campus Designs and studies including the Medical School, Psychology Facility, New Residences Hall, widening of Stadium Drive, Woodward Avenue closure and pedestrian mall, Call Street redesign, Alumni Village Flood Study, etc. •	Project Manager for several phases of the Southwood development including: roadway design, stormwater management, and infrastructure. •	Project Manager of many private Land development projects. •	Project manager/engineer specializing in the design and permitting of single and multi-family residential, commercial and institutional projects. 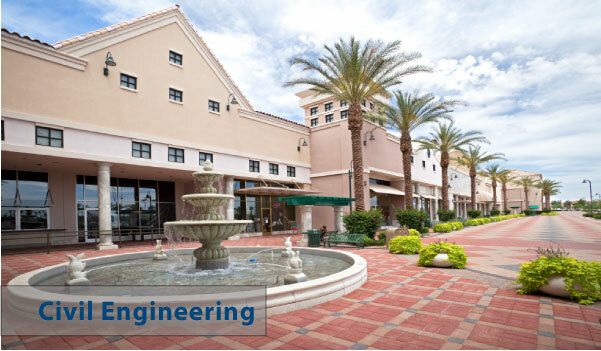 •	Design duties includes, site grading, water and wastewater systems, drainage, stormwater management, FEMA flood studies, pavement design, fire protection, vehicular and pedestrian access and circulation, and other associated civil design responsibilities. •	Residential projects range in scope from as small as the design for a single family house to large subdivisions with over 300 dwelling units. Commercial projects include small and large office and retail establishments. Projects have been in most of the surrounding counties and cities with the most remote being in the Walton County and Destin areas. •	Project manager/engineer/designer for single and multi-family residential, commercial and institutional projects. Recent projects include the Alliance Center, Killearn ProBank, Florida School Boards Insurance Trust, American Red Cross’s Capital Area Headquarters, Bradfordville Commons shopping center, N. Monroe St. Dollar General/Ace Hardware store and the Saint Peter’s Anglican Church’s NE facility. •	Rezonings, Land Use Amendments, PUD’s, Limited Partition subdivisions and other land planning duties. •	Residential projects that have been completed range in scope from as small as the design for a single family house to large subdivisions with over 300 dwelling units. Commercial projects include small and large office and retail establishments. Projects have been in most of the surrounding counties and cities with the most remote being in the Walton County and Destin areas. •	Specializing in the coordination of site design for mid-sized projects. •	Site design includes the practices of site feasibility studies, conceptual layouts, final layouts, and land development approvals from all associated governing agencies. •	Land development approvals consist of water and sewer design, ingress/egress design, stormwater management design, concurrency, natural features inventory, environmental impact analysis, site plan and environmental management permit. •	Project experience includes North Monroe Dollar General / Ace Hardware, St. Peter’s Anglican Church NE Facility, Killearn Lakes Pro Bank, Killearn Lakes Plantation Commercial Center, Moody Warehouses and Apalachee Point Apartments.